I don’t know about you, but I love love LOVE The Body Shop. Especially the creams that came in those tubs. And then I discovered BATH & BODY WORKS. I always heard about it from my friends in the US, but shame, no Canadian store. Every year when we would visit Las Vegas, I would stock up. Until last year, when I didn’t have to stock up anymore – Bath & Body Works finally made its way to Toronto! I don’t know if it’s the bright lights, pretty colours everywhere, or the relaxing smell.. but it’s almost magical. They have everything for anything. Just for Christmas, I purchased their snow man and Santa shaped foam hand wash.
Everything is categorized, bathroom / kitchen / living room / bedroom. Well, I headed over to the spa/aromatherapy section. They had an array of essential burning oils and pillow mists. 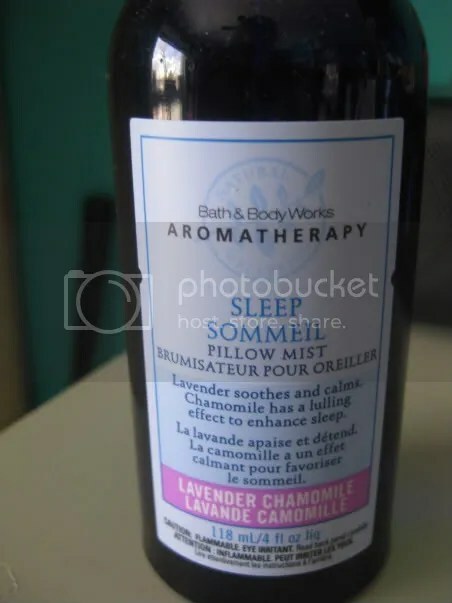 I picked up the lavender-chamomile, because I’ve always read those combinations (alone or together) are the most soothing and calming. Spray a couple spritz’s on your pillows (allow a few seconds to dry), and voila. I was first skeptical about it. 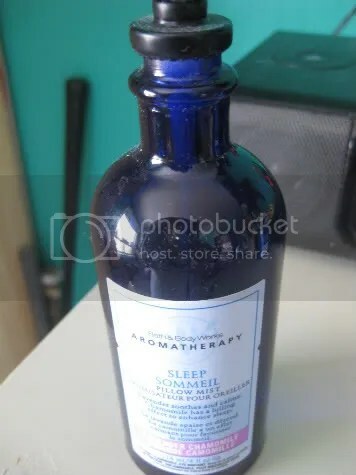 But it is a well-invested product 🙂 It has a lovely calming scent, and best of all, it’s not overpowering and like most scents, does not give me a headache! You don’t have to spray it every night, but I usually spray it about 3-4 times a week, sometimes more depending on how tired I am. Do you have a realistic idea of how much sleep you need? A general guideline for adults is 7-8 hours of sleep a night. If you are consistently waking up groggy and exhausted, that’s a signal that you may need to up your sleep intake. If you’ve been sleep deprived, it may take a few days of heavier sleeping before you can get a sense of your average sleep needs. Impaired mood, memory, and concentration. Without adequate sleep, the immune system becomes weak, making you more vulnerable to colds, flus, and other infections and diseases. And if you get sick, it takes you longer to recover. Did you know that driving while seriously sleep deprived is similar to driving while drunk? The lack of motor coordination associated with sleep deprivation also makes you more susceptible to falls and injury. Too much noise—loud outside conversations, televisions blaring, music, or traffic—can make it difficult to sleep well. If outside noise can’t be blocked, try masking it with a fan, white noise, or recordings of soothing sounds. Earplugs may also help. Keep your room dark during sleep hours. When it’s time to sleep, make sure that your environment is dark. Even dim lights—especially those from TV or computer screens—can confuse the body clock. Heavy shades can help block light from windows, or you can try an eye mask to cover your eyes. If you can, experiment with the room temperature. Most people sleep best in a slightly cooler room with adequate ventilation. Check your windows and doors to make sure that drafts are not interfering with sleep. Reserve your bed for sleeping. If you associate your bed with events like work or errands, it will only make it harder to wind down at night. Reading a light and entertaining book or magazine, listening to soft music, a cup of hot tea or a glass of warm milk, or listening to books on tape. Many people use the television to fall asleep or relax at the end of the day. You may even have a television in your bedroom. However, television actually stimulates the mind, rather than relaxing it. If you can’t stop yourself from worrying, especially about things outside your control, take steps to learn how to manage your thoughts. For example, you can reframe why worrying is harmful rather than helpful and practice replacing worrying with more productive thoughts. If the stress of managing work, family, or school is keeping you awake, you need help with stress management. By learning how to manage your time effectively, handle stress in a productive way, and maintain a calm, positive outlook, you’ll be able to sleep better at night. If you wake up frustrated and angry with loved ones or colleagues—rehashing arguments over and over—you may need help managing your anger. Even if you later scoff at yourself for these thoughts, don’t be too quick to dismiss them. It may mean you have feelings of anger under the surface that needs to be addressed. Close your eyes—and try taking deep, slow breaths—making each breath even deeper than the last. Starting at your toes, tense all the muscles as tightly as you can, then completely relax. Work your way up from your feet to the top of your head. Visualizing a peaceful, restful place. Close your eyes and imagine a place or activity that is calming and peaceful for you. Concentrate on how relaxed this place or activity makes you feel.